The Trustus Theatre production of “Sunset Baby”, directed by Bakari Lebby, has been nominated for Best Local Theatre Production by the readers of the Free Times! The Voting period is from June 6 to June 30. More information can be found here at the Free Times’ website. “Sunset Baby”, directed by Bakari Lebby, ran at Trustus Theatre from February 23 to March 3, 2018. 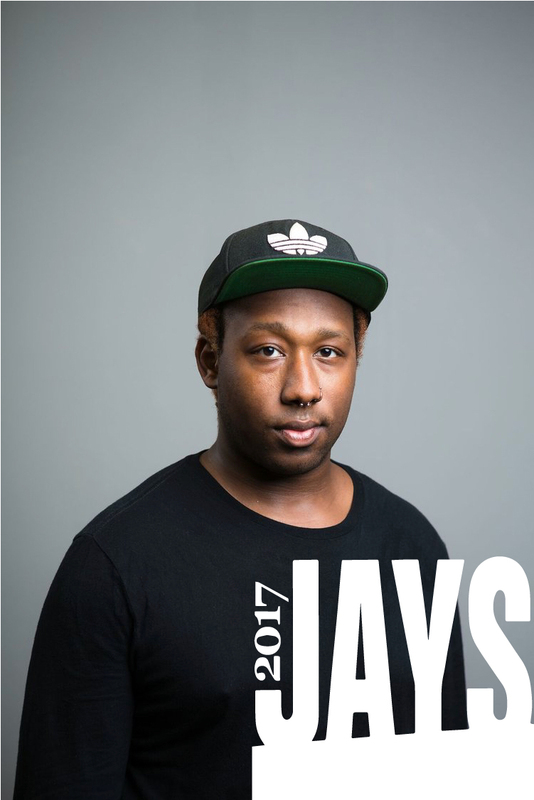 The Jasper Project announced Bakari as the recipient of their Theatre Artist of the Year Award on December 5, 2017! More information can be found here, at The Jasper Project's website! Bakari is currently directing a production of Dominique Morriesau's "Sunset Baby", running February 23 through March 3 at Trustus Theatre. More information and tickets can be found here, at Trustus's website! Kari was voted the runner-up in the Best Local Tweeter category of the Free Times Best of Columbia 2017 poll by the readers of the Free Times! Kari has been a finalist in this category since its inception in 2014! Their Twitter account can be found here! Sid and Nancy was also a winner, with the recognition of Best Alternative Clothing Store! Bakari is directing a new 10 minute play by Jon Tuttle and Cindy Turner entitled "Another One". The cast includes Trustus Theatre company members Avery Bateman and Jason Stokes. The play, along with five other Eclipse Plays, is produced by The Jasper Project and runs twice on August 17, 2017 at 7pm and 10pm at Tapp's Arts Center. An interview with Bakari is available at The Jasper Project. Tickets and further information are available from Tapp's Arts Center. Trustus has announced their 33rd season, and Bakari is directing "Sunset Baby" by Dominique Morrisseau in the Cohn Side Door Theatre. The play runs February 23 - March 3, 2018. The rest of Trustus's season can be seen here! Kari has been nominated for Best Local Tweeter by the readers of the Free Times! Head to their site to vote starting June 7 through June 30. Trustus Theatre's production of American Idiot, which Kari appeared in, is also nominated for Best Musical! Bakari has been working on a rebranding of Sid & Nancy Clothing Store in Columbia, SC. They have designed Sid & Nancy's new logo and website, which can be found here. Check out Sid & Nancy's Twitter, Instagram, and Facebook accounts as well! Bakari worked on video/projection design for Trustus' production of "Hand to God". Bakari has been cast as Ja'Keith/Mayor in the upcoming production of "Rock in Ages" at Trustus Theatre! The production runs from June 2 to July 1, 2017. Tickets go on sale on May 10, 2017. The recent production I directed of "Some Girl(s)" by Neil LaBute was reviewed by August Krickel for the Free Times. That review can be found here! I have recently directed a production of Neil LaBute's "Some Girl(s)" that opened on February 10, 2017 at Workshop Theatre, and runs through February 19! Patrick Michael Kelly (Guy) and I did an interview at Columbia's CBS affiliate, WLTX to promote the play. The clip is available at WLTX's website here. The Free Times, Columbia's free alt-weekly, listed my 2016 release, "die alone", as one of the best records from South Carolina in 2016. The article is available here. my second full-length record, "die alone", came out on october 14, 2016.
it is available on bandcamp, amazon, spotify, tidal, apple music, and more!